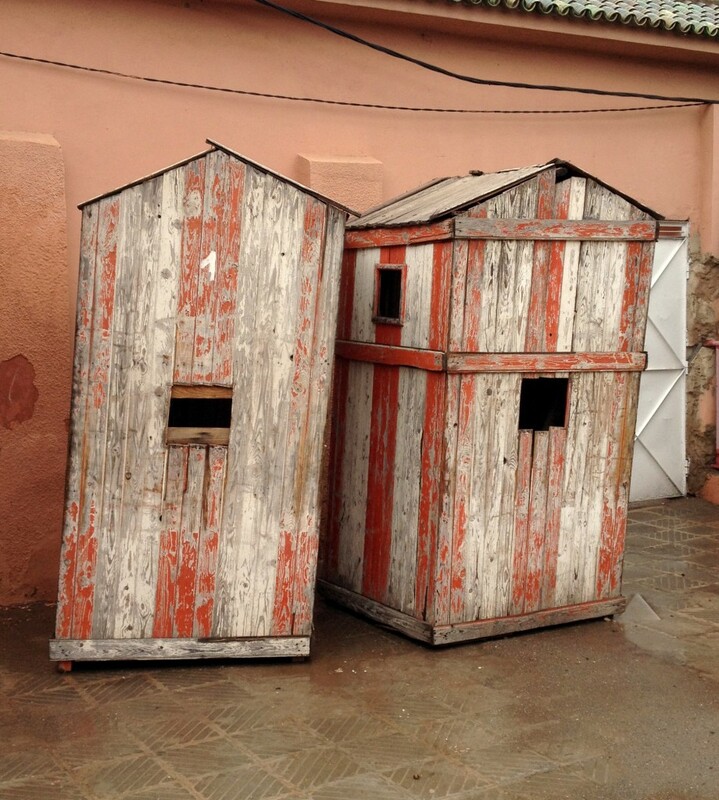 These battered match day ticket booths were next to the old football ground at the Kawkab stadium in Gueliz, Marrakesh, where Kawkab Athletic Club used to play. They have since moved to a new stadium out of town. It is a small football ground, probably a similar size to a national league ground. The photograph was taken whilst on holiday there.